The woes of being back in London after our trip have been slightly quashed by the wealth of exhibitions on over the summer. Although we saw some amazing exhibitions on our travels, I maintain that nowhere does ’em like home – even in terms of what we can see for free, we beat the rest of the world hands down. I still haven’t got to Bowie at the V&A, so maybe there’s a trip to be done combining that and the Club to Catwalk show – also interested in Mexico: A Revolution in Art at the Royal Academy (obv); Lowry and Patrick Caulfield at the Tate Britain; Poster Art at the London Transport Museum; Miles Aldridge and Blumenfeld at Somerset House; and, of course, our local walrus on his holiday down to the Turner Contemporary in Margate. 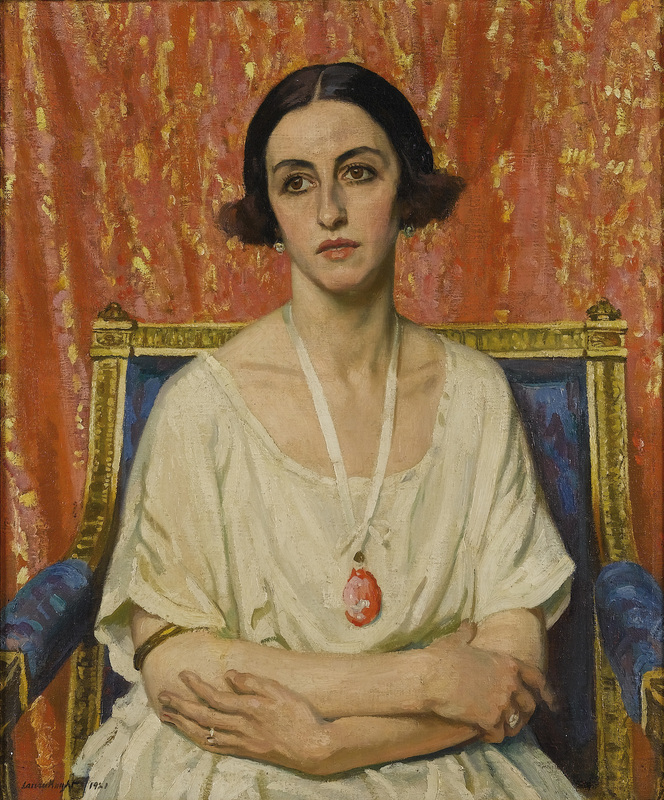 But most of all, I want to see Dame Laura Knight at the National Portrait Gallery. I wish I could pretend I knew more about her work, but the truth is that my first exposure to her was in all the press previews of this show – and reviews of Summer in February, the new Christopher Menaul film which looks at the artists’ colony in Cornwall where she lived and worked for a while. I’ve attempted to make up for matters by reading all the reviews thoroughly (including this cool Persephone Books letter and another here) but I think I’ll have to make full amends by handing over my £7 and going for a proper look. Regular readers will no doubt be totally non-surprised to hear that it was the era which she operated in which got me excited – but it was when I saw her 1913 self-portrait (in the middle above) that I really piqued my interest. 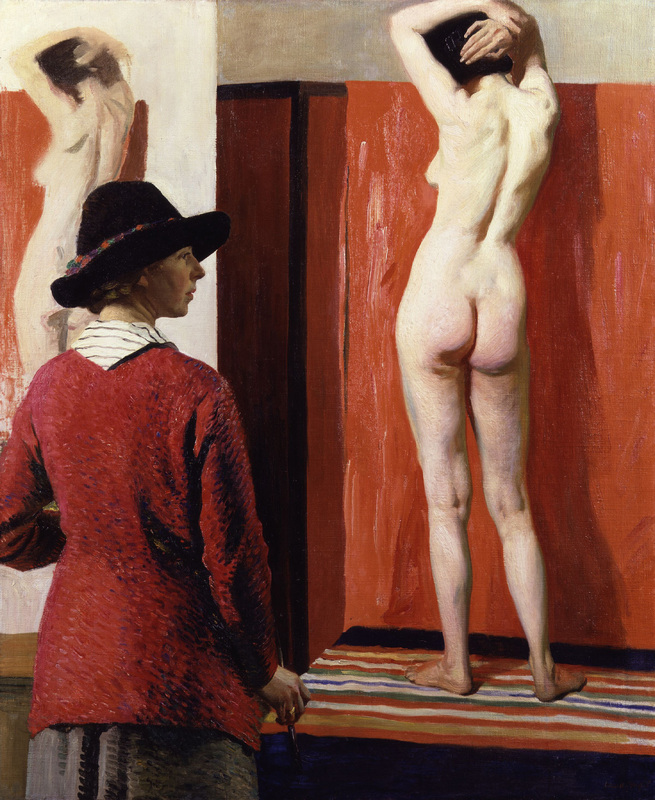 Any woman who paints a picture of herself alongside a bare bum in 1913 has to be of note, right? 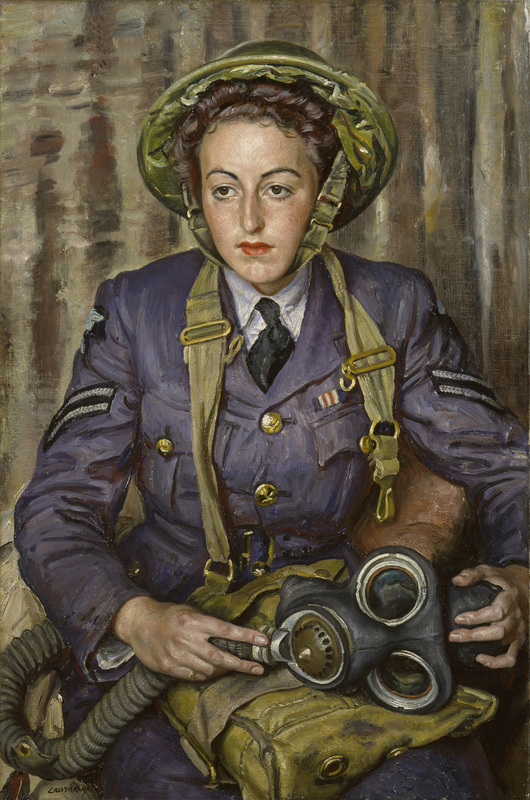 She was also an official war artist and what I’ve seen of her portraits of women at war are also right up my street – I’m not sure who some of them are, but the way they look makes me think of Anne de Courcy’s wonderful Debs at War. From a purely shallow point of view, she also appears to be something of a babe with stellar dress-sense. Evidence. There are more than 30 portraits in the exhibition, covering everything from the official war work to behind the scenes with the Ballets Russes and circus performers. It opened this week and is on until 13 October – you can book tickets or read more about her on the National Portrait Gallery site.